JRPG Jungle: Digimon All-Star Rumble Coming To The West Soon! Did you play Digimon Rumble Arena as a kid? If you did, then you understand the intense race to Digivolution first in a battle with friends. If you didn't play Rumble Arena on PSOne, then you can experience what a Digimon battle game has to offer in Digimon All-Star Rumble. Digimon All-Star Rumble promises to remain true to it's title by featuring an all-star cast of Digimon from different series of the original anime. It also features the all important Digivolution, which allows players to Digivolve their Digimon into a stronger form during battle, giving the Digivolved player a serious edge against competitors. The game offers battle with up to four players, so if you're a Digimon fan or you're looking to revisit your childhood, this looks like a fun game to play with your friends! 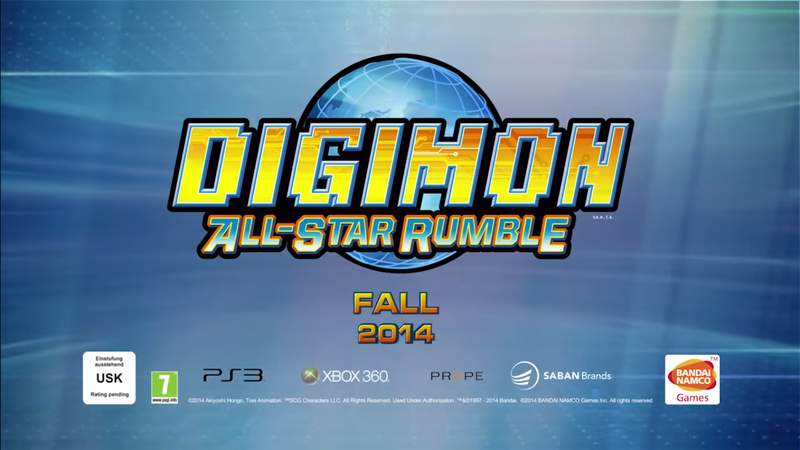 Digimon All-Star Rumble will be available on PS3 and Xbox 360 Fall 2014 (aka. soon!). Which Digimon are you looking forward to fighting with? Comment below or send a tweet to @JRPGJungle and let us know!